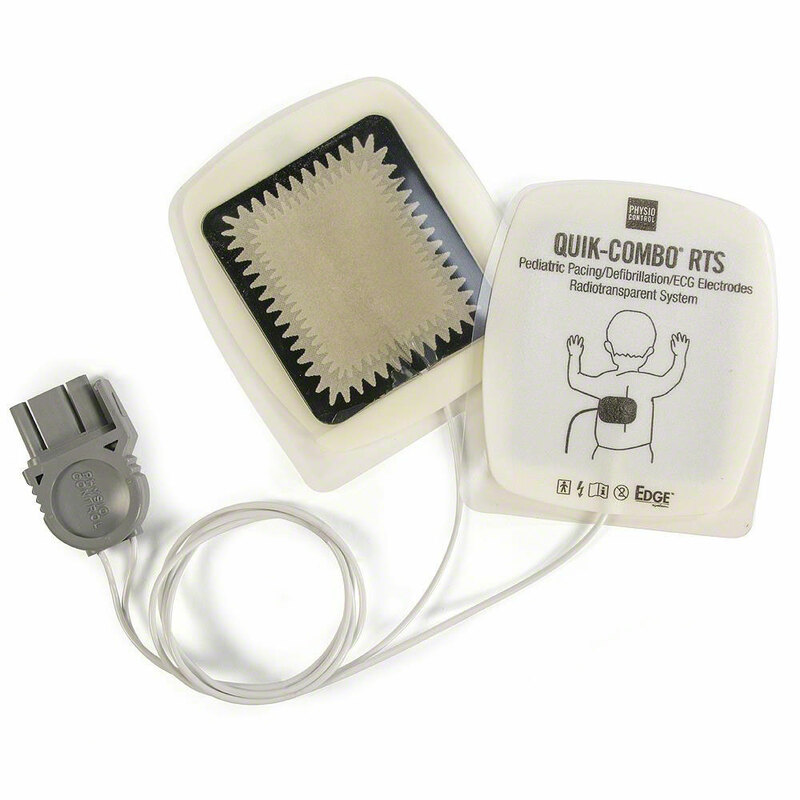 RTS (Radiotransparent) Pediatric EDGE System Electrodes with QUIK-COMBO Connector for Manual Defibrillator/Monitors ONLY by Physio-Control. 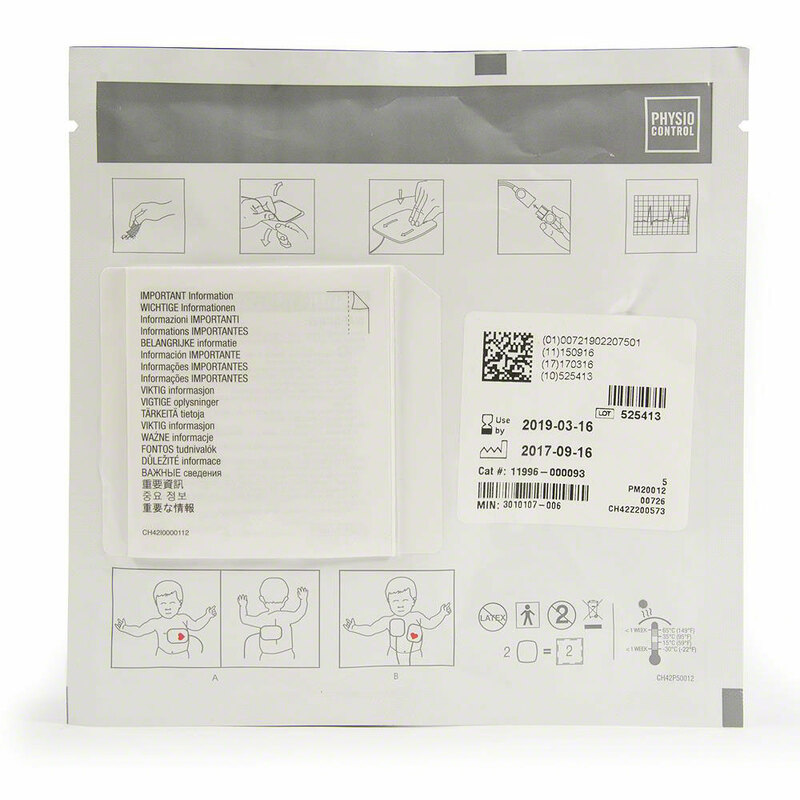 Pediatric Pacing/Defibrillation/ECG Electrodes Radiotransparent System. 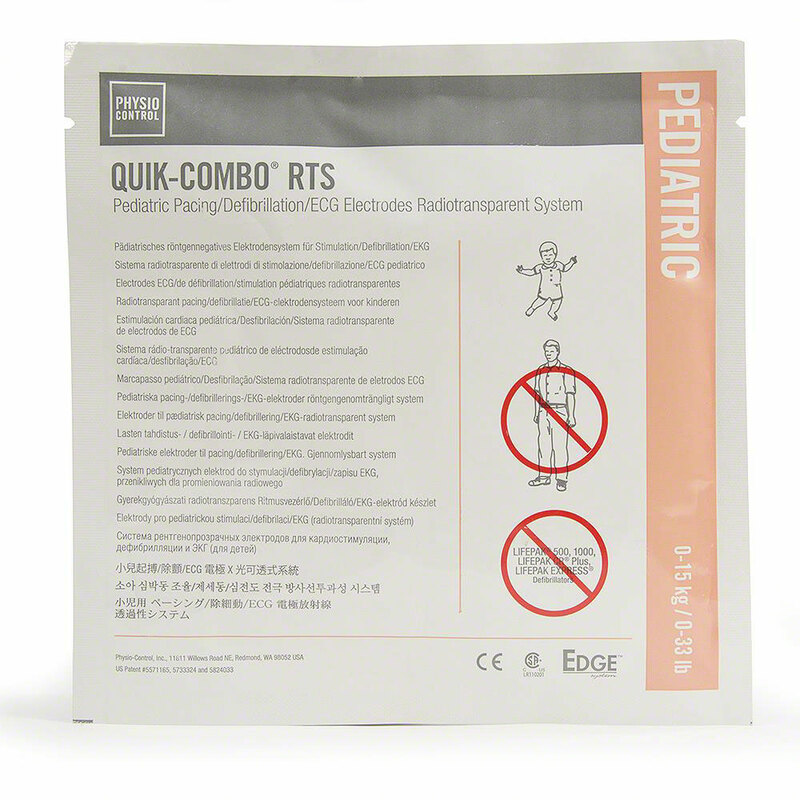 Use on pediatrics 0-15kg or (0-33lbs). These pads have an approximate 12-month shelf life. 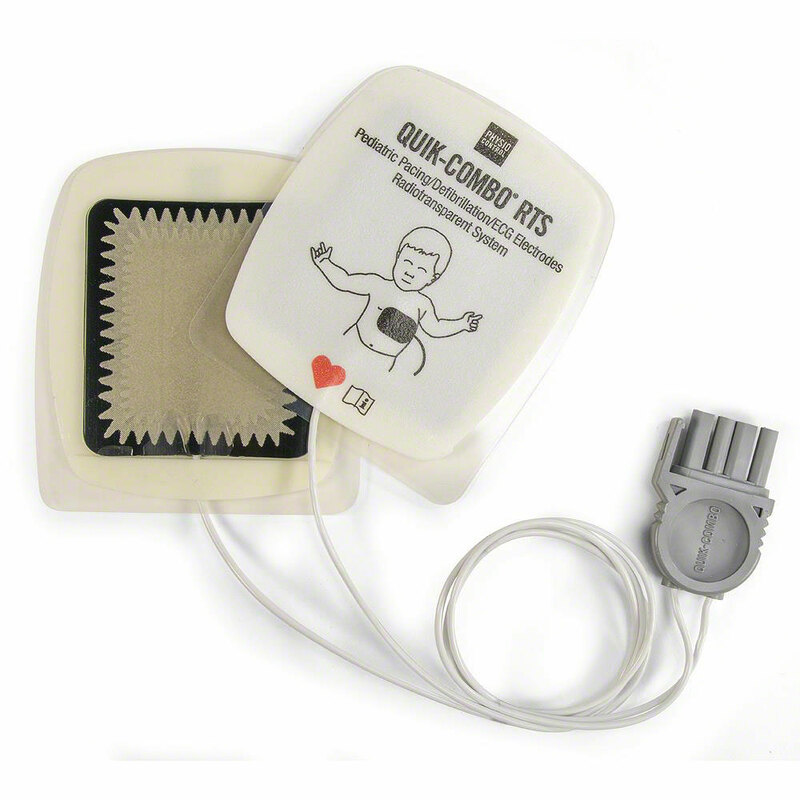 For use with: LIFEPAK 12; LIFEPAK 15; and LIFEPAK 20.